Click the button below to add the CAP, NAVY/GREY DISTRESSED to your wish list. Low profile, unstructured six panel cap in navy pigment dyed washed canvas on front, top/undervisor and button. Top visor has two frayed rips in chino twill. Side and back panels in grey trucker mesh. Grey polysnap adjustable closure. 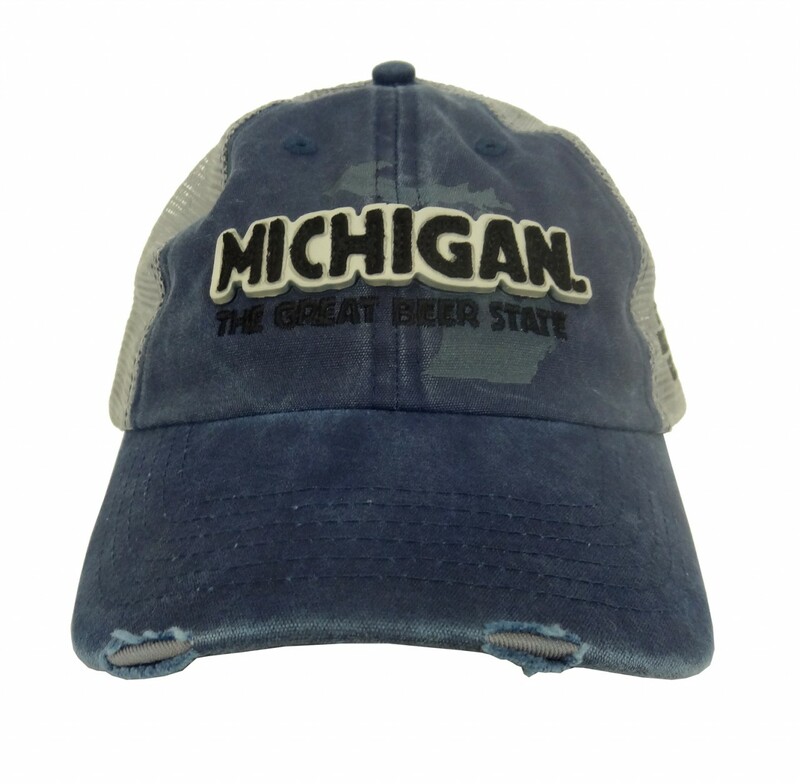 Front cap decoration includes Michigan state silhouette laser etched with 3D foam applique in grey with black felt MICHIGAN lettering, The Great Beer State embroidered in black over silhouette. Drink Michigan Beer emboidered on left side in black. One size fits all.